We are a professional family run buisness that are fully insured and CRB checked. We provide all our own products and staff will wear our Dust Till Noon logo tshirt to all shifts. We will come and visit with our clients to ensure we meet there criteria, and try to aim for what day and time suits them best. We are sisters Laura and Rebecca and have been carers for ten years. We both decided that are clients needed more help than just care and that the carers did not have time to do. 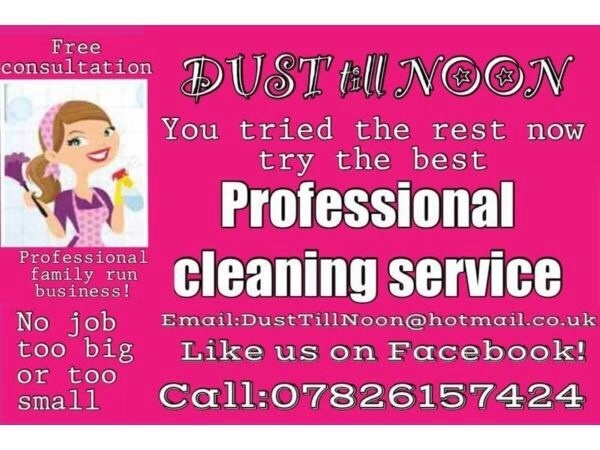 Our aim was to advertise by posting buisness cards door to door and putting adverts in local papers and internet sites. Gradually we have built up a close clientell and are exspanding to grow and provide more cleaning in the merseyside area. We do commercial/domestic cleaning also one off cleans/spring cleans and end of tennancy cleaning work all covered.We provide a service to homes, pubs/bars/hotels/offices and nurserys. 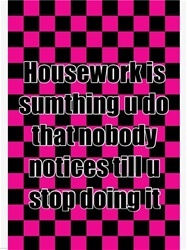 Ironing services and indoor window cleaning!